Herald: Traffic sentinels: Good watchdogs or interfering ‘spies’? Traffic sentinels: Good watchdogs or interfering ‘spies’? 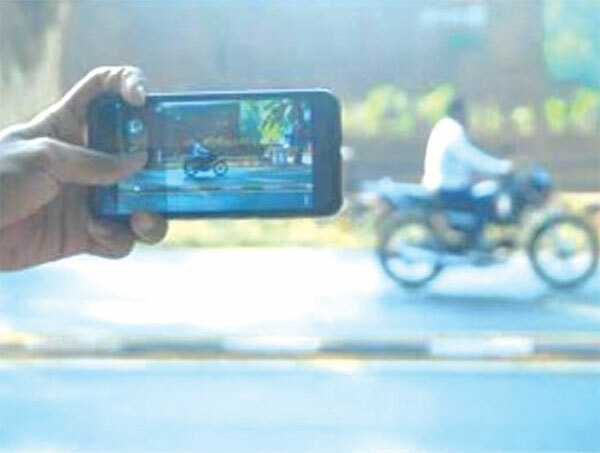 Last week, a middle aged man stood by the footpath of the parking area at Kamat Restaurant, near Immaculate Conception church, and began clicking pictures of few riders passing by without a helmet and illegal nameplates. Displeased by the act, the mini shop keepers and pedestrians around the area passed slang remarks and threatened to beat him up. Is this behaviour acceptable for a person who is trying to save a life? Is the department not capable enough to do their own work? Or are the sentinels, according to some, ‘interfering in people’s private lives’. While Café took to the streets to get people’s responses, it needs to point out just this. When a member of the public is in the public space, and driving a vehicle, he or she is governed by rules which need to be followed, in order to continue to have the privilege to drive. Traffic Sentinel Scheme was launched by Goa Traffic Police for empowering general public to participate in better management of traffic on Goan roads. In this scheme, any person can report traffic violation by capturing the photo/video of the defaulting vehicle and send it through Whatsapp. In the last few months, the traffic sentinels have reported a number of cases where two wheeler riders have skipped wearing their helmet. The scheme states that predefined reward points for different violations will be credited in the account of Traffic Sentinel for each violation so reported. Once the Traffic Sentinel accumulates 100 Points be will be given a 1000 Rs cash reward. ‘It’s totally right what the sentinels do, it’s a good initiative that they are at least trying to scare the people off so that everyone wears the helmet and follows the traffic rules. But, I still stand against it, because some nosy people are always bothered about others and they just want a chance to complain. Another fact that annoys me is that where is this money coming from? Our parents are paying taxes to pay people to do the job of the officers. Why has the Traffic police department started this scheme in the first place; they should do the job themselves. ‘People are absolutely right in getting angry on being fined for not wearing helmets. There is a RTO app to register offence they too receive complaints even though no reward is being paid. Secondly there are many other inconveniences that need to be curtailed. Every scheme has its pros and cons. Traffic sentinel started invading privacy of drivers and it even ended in marital discord. This scheme has given people a tool to spy on one another. We as Goans are very hospitable, we always give lifts to people, but apparently there have been instances when the photograph of a man and another woman has reached his home with the challan; it has led to marital discord. Sentinels seem to intrude into privacy of drivers and riders by clicking photographs thereby stirring anger. The scheme was seen by sentinels as a mode to earn more and more money. ‘Well I feel that the scheme is good, but people are revengeful and so they start becoming violent when they see someone clicking their picture. There was an incident in Mapusa where a car was overturned because the person in the car was parked and clicked pictures. The traffic sentinel scheme is a smart initiative. I have perceived that unless there's a substantial forfeit, people won't change their habits. Also, it isn’t an easy task as criminals escape all the time. If they see n officer in his uniform anyone would surely escape, but if sentinel captures an image, no one will know. The traffic sentinels seem to be hard working and are trying to protect people in some way, they are risking it. So now that there's a system by which we can make our riders safe and also earn some bucks, then why not? It is for the benefit of our nation.